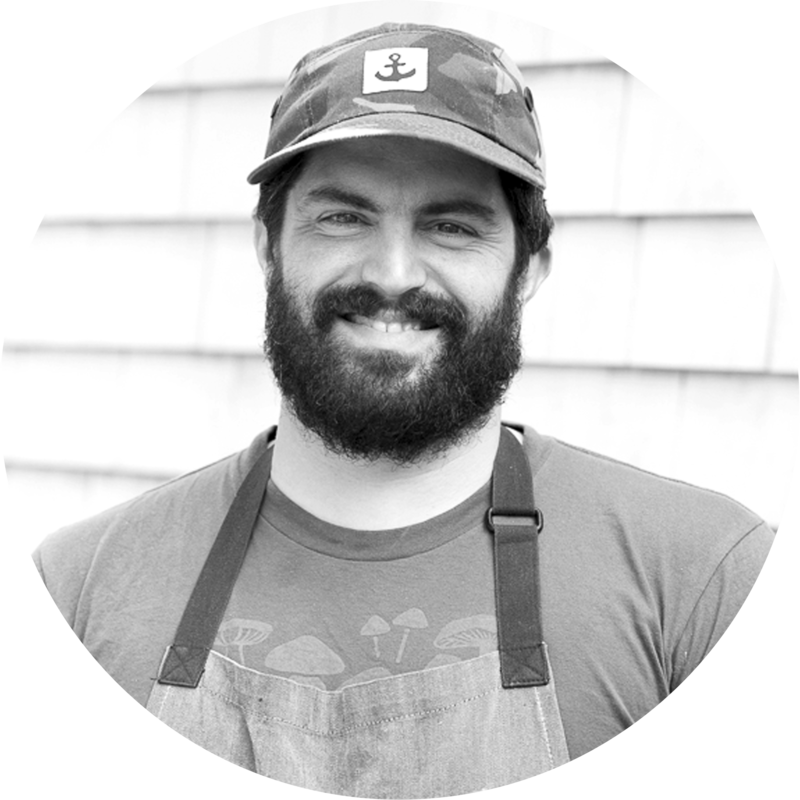 Frank Giglio is a classically trained chef and co-owner of Three Lily Provisions, which focuses on small event catering, education, and produces value added products for their online store. With his wife and two children, he lives off grid in Midcoast Maine. An avid outdoorsman, Frank spends his time fishing, foraging, and getting his hands in the dirt before bringing his harvests back to the kitchen. Food preservation has been around for thousands of years. From drying acorns for extended storage to turning grapes into wine, the act of preservation has allowed people around the globe to enjoy various foods and botanicals well past their harvest season. As a chef and homesteader, I often find myself having way more fresh ingredients than I can use before they turn. This is where food preservation comes into play! I do my best to appropriately utilize as much as I can so that my family may enjoy the spring, summer, and autumn harvest well into the cold winters of Maine. Extra cabbage gets salt and turns to sauerkraut, excess peaches get pureed and dehydrated into fruit leather, and the list goes on. Over the years, I have become particularly fond of vinegar and its acidic properties to capture the essence, flavor, and minerals naturally found in fruits and herbs.